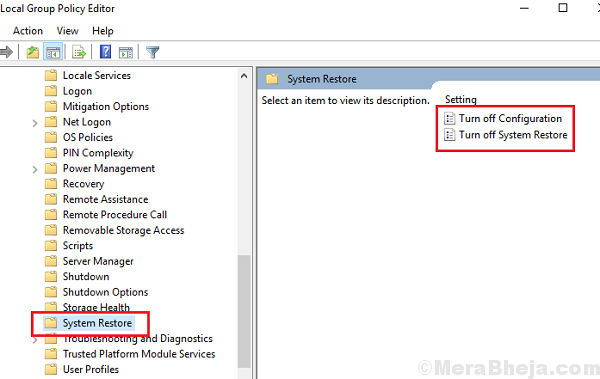 System restore is the answer to many of our problems with Windows systems. Rather, almost any problem that has been caused by installing new software or programs could be resolved with a System Restore. 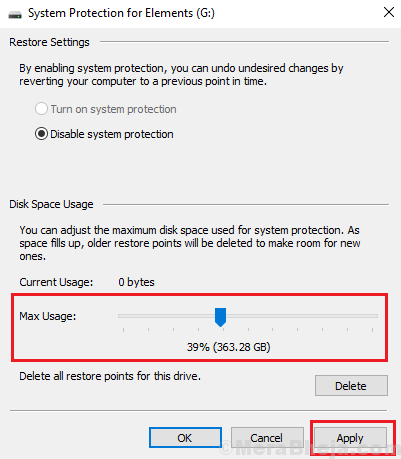 Here’s the procedure to perform a system restore on a Windows 10 system. However, imagine a situation in which System restore stops working. It needs to be resolved as soon as possible just in case anything goes wrong with the system. This issue could be caused by a Windows update which messed up the settings of the system. Another reason could be virus or malware. Whenever any cyber attack is scripted, their first target would be application which could reverse the effect of the attack. Here, System Restore is the application. 1] Update Windows: Here is the procedure to update Windows. 2] Run the Hardware and devices troubleshooter. 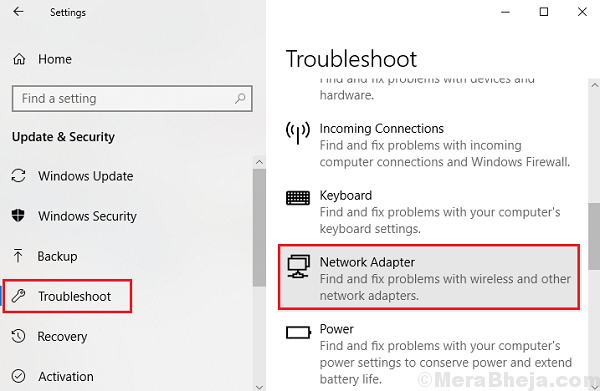 Just Go to Settings > Update & Security > Troubleshoot > Network Adapter. 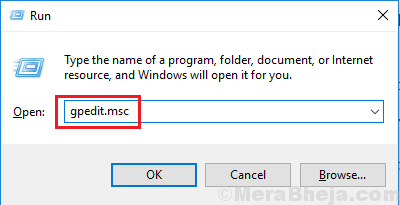 1] Press Win + R to open the Run window and type the command gpedit.msc. Press Enter to open the Group Policy editor. 2] Go to the following path Computer Configuration >> Administrative Templates >> System >> System Restore. 3] At this location, you would find 2 different keys: Turn OFF Configuration and Turn OFF System Restore. 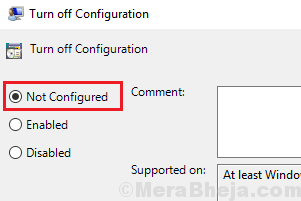 4] Open them one by one and shift the radio button to Not Configured for both of them. Save the settings individually. 1] Press Win + R to open the Run window and then type services.msc. Press Enter to open the Service Manager window. 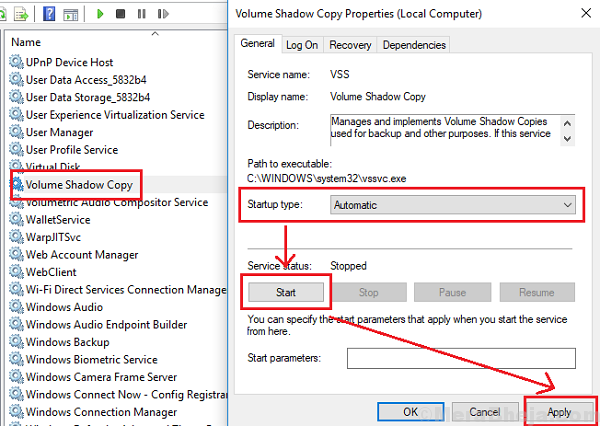 2] Locate the Volume Shadow Copy service in the list which is arranged alphabetically. 3] Check if the Service status of the service is Running. If not, right-click on the service and select Properties. 4] Change the Startup type to Automatic and click on Start to start the service. 5] Click on Apply and then on OK to save the settings. 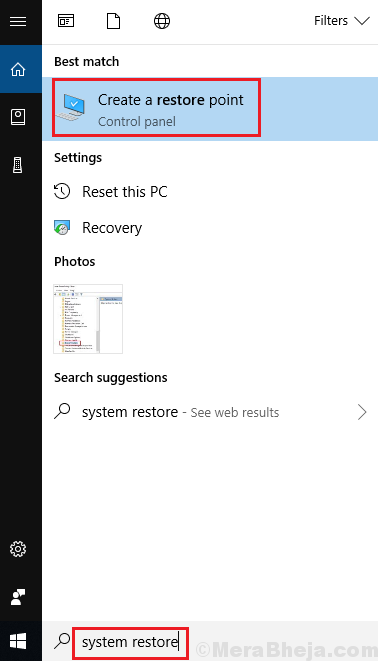 1] Search for System Restore in the Windows search bar. 2] Click on Create a Restore Point. 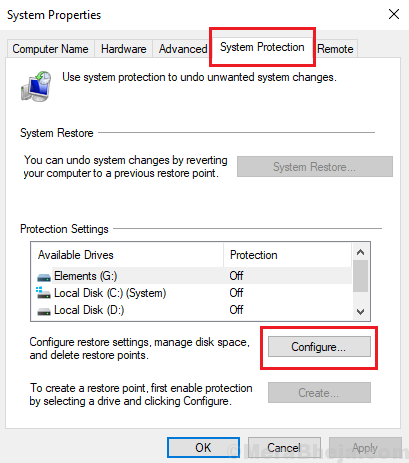 3] Go to the System Protection window and click on Configure. 4] Shift the slider for Disk Space Usage such that Max usage is more than 300MB. 5] Click on Apply and then OK to save the settings. Safe Mode allows users to boot the system with minimal set of drivers thus reducing the chances of many processes interfering with System Restore. Here’s the procedure to boot the system in Safe Mode. An SFC scan helps check bad sectors in the hard drive and repair then. The procedure for an SFC scan is as shown here.